Mould-blown by skilled artisans, the Pearldrop Lamp from Porta Romana will make a beautiful addition to any home interior whether classic or contemporary. The tall, serene lamp features a charming drop shape crafted from a beautiful bubbled milk glass. 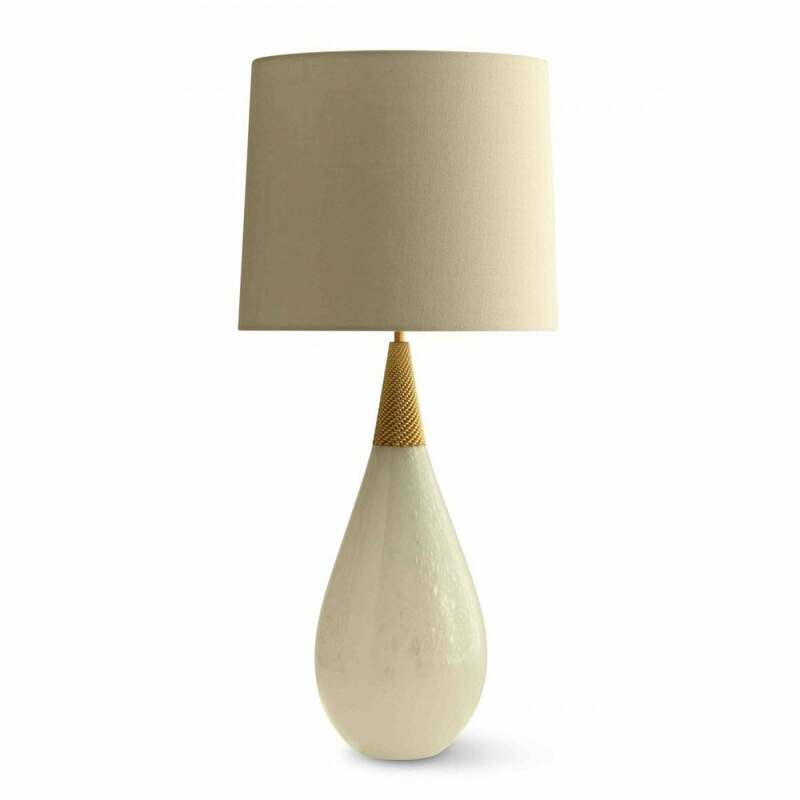 Inspired by precious pearls, the Pearldrop Lamp is given a modern finish with a hand-painted, latticed gold collar. With a subtle glamour and chic shine, this stylish light has endless versatility. Style with a velvet shade in a soft dusky pink or choose a linen design in a natural hue for a sophisticated look. Pearldrop is also suitable for rodding and bolting for use on yachts. Make an enquiry for more information.